Artful Affirmations: Tea Cup Tuesday Blue! How incredibly beautiful. I love the bird motif and it looks so precious and delicate. Oh, that is lovely. What a fabulous gift from your sister. Also, I always find all the information about the manufacturer to be very interesting. I'm not sure how you've learned all that, but I enjoy you passing on the info. Happy Tuesday tea party to you. Lovely choice today Terri! You don't look a day over 30! Congratulations again for winning a tea cup in my giveaway! Take care..I am thinking about you! 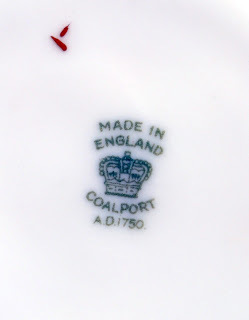 Coalport make lovely Tea Cups. Hello- Your sister gave you one beautiful gift. This teacup is a true beauty and work of art. Thank you for all of the information. Take care. I love everything about this cup and saucer, from the color to the design. 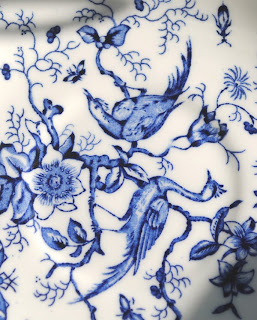 Blue and birds, well, what is there not to love about it? Your sisters gave you a wonderful gift! Very pretty cup and saucer, one of my daughters has a blue kitchen. I really like the bird in the pattern. Beautiful tea cup. Almost too beautiful to drink from! Now that is one sweet tea cup and saucer!! 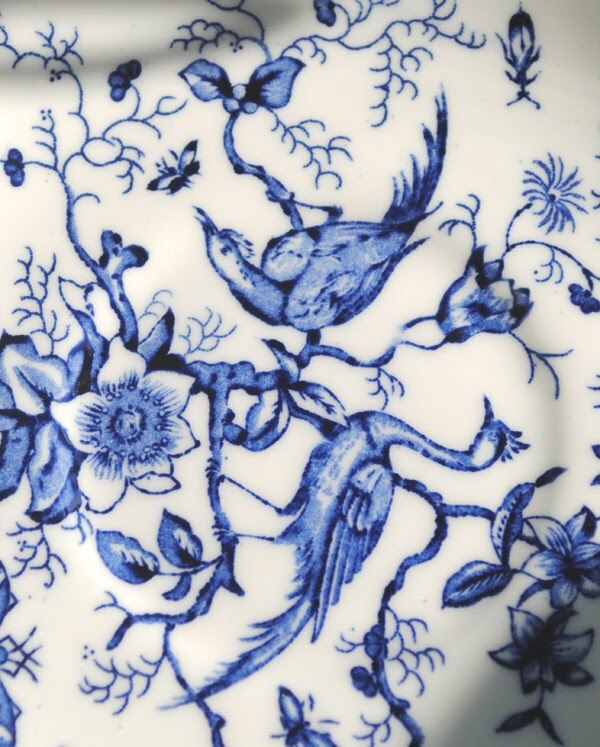 here is something about blue and white china!! Hi Terri :) What a lovely and special gift from your sister. 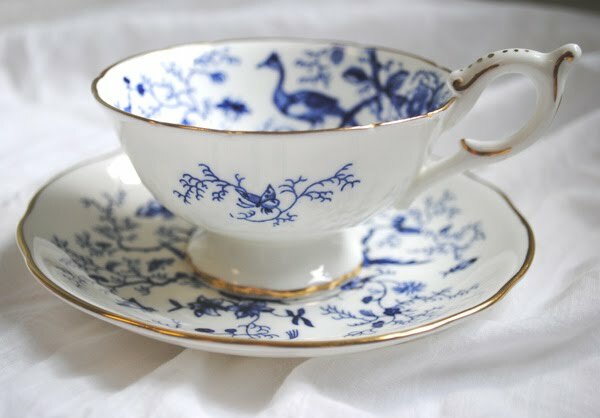 I too love the bird motif on this cup :) One of these days I'll have to add a blue & white cup to my little collection! Thanks for sharing and for hosting this fun party!! Blue bird of happiness for sure! this is just exquisite! I'm lusting ...!!!!!!!!!!!!!!!! such a lovely teacup! really beautiful! moreover it is Coalport! very precious teacup. Terri, this is so delicate and beautiful! 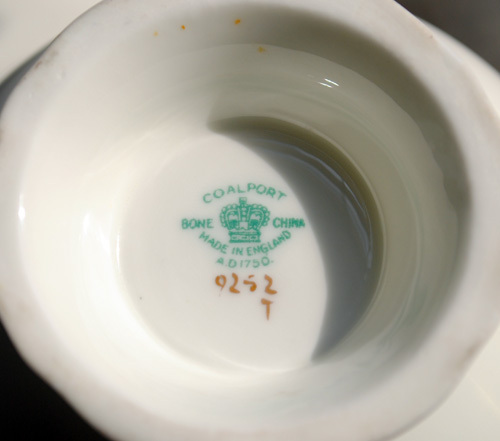 There are so many more teacup designs out there that many of us have never seen. Thank you for sharing this lovely one. None for me today....just so overwhelmed with things going on! Enjoy your party! This is so wonderful Terri. i love the handle!!! its such a wonderful party!!! hope you have a lovely day!!! I love the shape and I agree the handle is YUM! Didn't get to stop by earlier....the first thing I thought when I saw your teacup was OOOOOOHHHH! How Lovely! Just a beautiful cup and saucer Terri and the name "Cairo" suits it well. I love the blue and white combination as it seems cool on a hot day! Love the blue and white. I think that is my favorite color combination for china (although I love green and pink too!). I'm linking a little bit late today, but being late is fashionable, right? Your tea cup today is a lovely gift from your sister. She has great taste. As much as I love pink and roses I am always drawn to blue and white. Thanks for sharing and also hosting another fun Tuesday. this is really a wonderful cup. The patter is so detailed painted. Thank you for showing this. What a beauty! 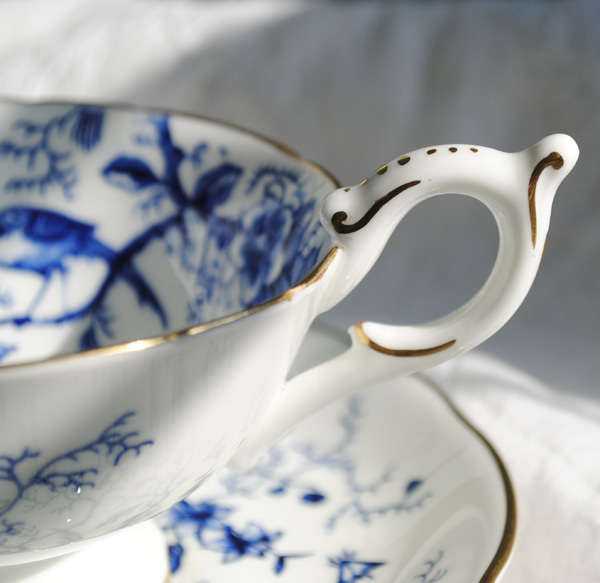 There is something so crisp and refreshing about a blue and white teacup! I do believe that I have a small piece of Ralph Lauren fabric with this very same design on it! I love your tuesday blues! That is just blueeeeteaful! I love blue/white anything! But especially on teacups! I really appreciated all the information you gave me about my teacups. Oh darling Terri! What can't you do? I am so excited to know such a Princess as you! Sorry rhyming. I do that when I am excited! You are a treasure! Blessings. My but you do have a lovely collection of tea cups. My favorite color is pink, but blue is certainly a close second. The photos are stunning. 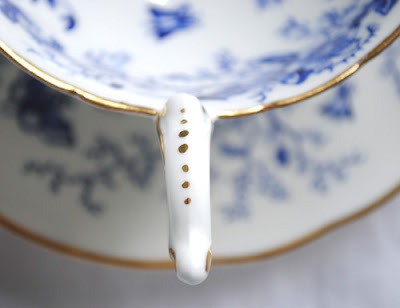 Such detail in this lovely cup and saucer. I would say your sister knew what she was doing when she picked it out for your birthday. I also love Marie, the beautiful little doll you made and showed in your last post. You are SOOOOOO talented. Those birds are so beautiful and so is that shade of blue. Beautiful tea cup, Happy Teacup Tuesday! What a beautiful tea cup. 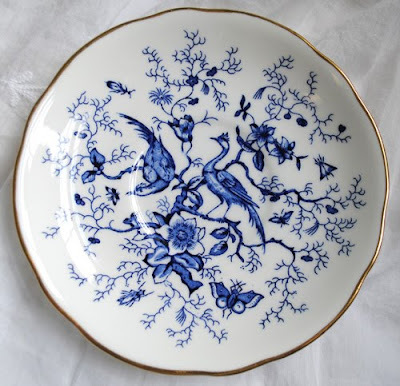 I love blue and white dishes of all kind, but this is stunning.